The third millennium – a unique time, full of mysteries and numerological symbolism. One of these mysteries – triple the number-date with repeating numbers like 01.01.01. Of particular interest were the three sevens and three eights, fell in 2007 and 2008. Our contemporaries felt that these days (07.07.07. And 08.08.08.) To bring happiness and good luck. What is actually meant by these dates, repeating the first 12 years of each millennium? Those interested in numerology, it is known that by means of numbers and digits God speaks to man, passing coded information. And you and I have to decipher this information by astronumerological study. At the beginning of the millennium for 12 consecutive years, triple the number included in which the day, month and year are the same number. This 12-year period of higher power is removed in order for humanity to try out the plan-development program for a thousand years. Events that occur near triple-date numbers, define programs for 100 years. It is important to know that any triple number – is the number mysteriological, and carries the absolute statement that all would. I draw your attention to that triple the number of repeats of the millennium to millennium, but each time their code is correct for the index number of the millennium. So last millennium unit acted as an index, and is now in law came two. This information will help us as we work with these triple numbers, or rather their mystical roots. Note that the 12-year cycle program is makroplanom ten centuries, but the micro-plans laid in the form of the same 12-year intervals at the beginning of every century. And in this case, the more and index-correction for a century. It should be noted that the basis of the cycle program are nine triple the numbers from 111 to 999. But the three-year cycle, included complex triple numbers 10.10.10, 11.11.11 and 12.12.12 is for overcode, for high level of dedication to the direct intervention of the Supreme Powers in the realities of the material world. The first thing that you should pay attention, because this is the periodicity of the triple repetition of the numbers in the calendar. Between 1.1.01. and 2.2.02. space of exactly thirteen months and one day. If we go further in this series, we find that between all adjacent triple-date numbers, there is the same interval. I recall the value of 13. 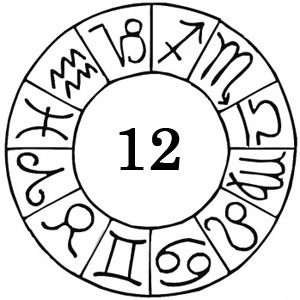 This is a shift beyond the enclosure, in astrology is 13 Sign Ophiuchus, opening the gates of the lower sign (or star wheel), which consists of 12 characters, in the Upper zodiac. For a man 13 – is to move to the next level, out of the range of incarnations, called the wheel of Samsara, a spiral or a transition to another reality. Death as a transition to another state, is also associated with that number. Any change over time or from one level can be represented by the number 13, a step or bridge. So, the interval of 13 months and one day gives us information about the transition from level to level, where each year of the 12 years is a separate step-level. Does this mean that every new level has a time frame that did not coincide with the usual year? For example, the first level is from the first of January of 2001 to the first of February 2002, the next level with the second last in February 2002 to the second in March 2003. And so on. Well, the last level on the ladder is located on the 12 December 2012 to 12 January 2014? Not at all. Time period, including a new level-stop lasts for thirteen months – from a triple-digit date to the next date of triple-digits, and only until the end of the calendar year. This is logical, as each new level includes a corresponding figure of the year. So, the first step is limited dates 01.01.01. – December 31, 2001, the second stage is between 02.02.02. and 31 December 2002, and the last stage is between 12 December 2012 – 31 December 2012. Thus, to build not just a level system, and the system, where each new level is shorter than the previous one month and one day. And what in astrology one month? This passage of the sun in one sign of the zodiac. Let the triple date-of astrologically not match with the transition of the sun from one zodiac sign to another, but they are symbolically denote this particular transition. 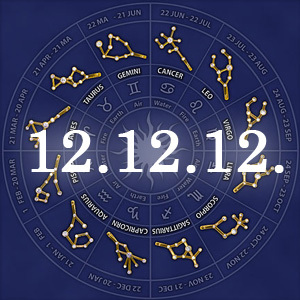 Thus, we have also formed a staircase of 12 symbolic signs of the Zodiac, and each glyph set aside their time period. Look at the sign of Aries, which opens the Zodiac, and therefore symbolically connected with the segment from 01.01.01. until December 31, 2001 have the whole 12 months, as a symbolic sign of Pisces allotted period of less than a month – from 12 to 31 December 2012. This means that each point of the plan requires a different amount of time. We detect some frequency, which forms the four-level system, which, as you said, with the same regularity settled mystical roots of our triple numbers. Is 3, 6 and 9. In human life means triple the decision, a manifestation of activity on some it may issue six – consolidation of the decision in the material world (giving him some form) and nine – the completion of any process. In addition, we examine the value of the triple numbers, we’ll still be able to get more information by comparing them with symbolic signs of the zodiac. Number 111 (01.01.2001.) means a directed flow of creative, creative energy that can be applied in any business, in any direction. And in our case, it’s not just 111, but also a symbolic sign of Aries is the sign of the action, be proactive. This means that at the first level must be made bookmark sharing ideas and energy for expected direction, which should be developed in the millennium. Under this sign and this number perfectly formed energy-slogans. Let me remind you that the slogan – a short succinct statement-call with a certain direction, and in our case also charged flow of creative energy. It is important to understand that the energy-slogan – not just an idea, but the germ, which contains the very idea, and a special kind of energy that is required for its development, and program development of the idea and the goal to be reached in the case implement the idea. Number 222 (02.02.2002.) heralds the beginning of a new cycle in the life of a single person, and any association, organization, state of humanity. And in this case, triple the number symbolically associated with the sign of Taurus – it gives an initial adjustment to the new reality, the creation of the primary form, when the energy-slogans slowly but steadily becoming tangible shape. Take on the form of social and economic relations, political programs, methyl and the astral world. Number 333 (03.03.2003.) not only causes us to make decisions, but also to get a lesson in connection with the adoption of the decision. In our case, this number corresponds to a symbolic sign of Gemini, which is able to build peace in the methyl structures, sending energy through thoughts, in other words – to choose options, predict situations and combine different parts. Number 444 (04.04.2004.) means God’s ways that are mysterious, or in the literal sense – the creative works of God. In our case, the number refers to a symbolic sign of Cancer, which creates a sense of mystery. Cancer is not a direct and indirect effects on any situation or object, creating a moral and emotional climate. In Avestan astrology number 444 refers to the hypothetical planet called twice Mirror Winged Maiden. The events connected with it – is to check on the truth that can put everything on its head, and then delete all of the world. Number 555 (05.05.2005.) is associated with advanced consciousness, sometimes referred to as the number of the Christ Consciousness, or the number of Cosmic Law. In our case, the number refers to a symbolic sign of Leo, embodies the idea of ​​authority (the king, the chief) and vicarious flow (higher forces, egregor). In Avestan astrology number is related to a hypothetical planet – guardian east Tishtar which allows you to simulate the future. Number 666 (06.06.2006.) has a bad reputation, but first of all it is related to the crystallization of form in the material world, in particular, describes the three material body. In our case, the number refers to a symbolic sign of the Virgin, who is passionate about finding details and key parts prone to analysis, but does not own synthesis. Virgo is better able to work with other forms of the material world. Events associated with the number 666, we can point out errors and incorrect actions, which should not be repeated. Number 777 (07.07.2007.) means the direct practical application in the material world of knowledge and skills for errors. This number is directly related to the number 444, as in the ways of the Lord, which have been identified, we have to go through. Here the famous phrase translates: “Inscrutable are the ways of the Lord, there are not passed”. In our case, the number refers to a symbolic sign of Libra, to implement the principles of balance and harmony in the gradual evolutionary development and expansion of consciousness. Events associated with the number 777, are fatal, ie foreordained, and no longer exposed to the market. In Avestan astrology number 777 refers to the hypothetical planet – the guardian of the North Haurang, opening the present. It should be ready for any turn of fate. Number 888 (08-08-2008.) means mastering anything, the acquisition of real experience-based knowledge, skills, mistakes and turns of fate. Still it is considered the number of completion of any phase, as well as the number of immortality. In our case, it corresponds to a symbolic sign of Scorpio, which implements the principle of qualitative changes in the external and internal reality. As the number of 888, and the sign of Scorpio are associated with karma, with the return to them again and rebirth after death. Events associated with the number 888, is extremely painful, bear the imprint of karma, rebirth indicate the transition from past to future. 888 are directly related to the genetic code, a new creation based on the old code. In Avestan astrology number corresponds to a hypothetical planet – the guardian of the West Shatavesh which preserves the memory of the past, and is associated with male sexuality. Events under the code 888 will certainly be related to the manifestation of male power in order to update, destroy or preserve the gene pool, and on the verge of death. The origins of the event will go back to the distant past, in personal karma man, bound to the karma of the whole country, the people and the nation. Under this number comes a new human formation. Number 999 (09.09.2009.) is traditionally considered a number of final completion at all levels, including true. In our case, it relates to the symbolic sign of Sagittarius, which implements the principle of cosmic love, associations, missionary, spiritual asceticism. Events related to the 999, aimed at the transformation of non-personal, and nearby, another space on the transfer (export) of its truth and its ideas across borders, sometimes missionary and military means. Sometimes this is due to the extremes in the form of nationalism or fascism. In astrology, Avestan 999 refers to a hypothetical planet – the guardian of the South Vanand who thinks of insoluble riddles to help with eternity, as the purpose of our existence. Events during this period, including preparing mankind to God realization. We stayed three ternary complex of 10.10.10., 11.11.11. and 12.12.12. Events associated with these three complex numbers are directly related to a sense of the divine presence. Number 10.10.10 (10.10.2010.) refers to global changes in the destruction of old forms. Here recall the biblical “we do not all die, but things have changed” – the principle of the Transfiguration. Hence, the task of every millennium – to change the person at the qualitative level. In our case, the date of 10.10.2010. related to the symbolic sign of Capricorn, implement the principle of vertical ascent no room for error. Number 11.11.11. (11.11.2011.) includes the processes of transformation, structural and systemic change at a deep level (including molecular, genetic, psychoenergetical). It opens all the doors inside and out, leaving the closed and intermediate space to let the energy flow back and forth. Allowing the planet Earth with its solar system move closer to the center of the galaxy, and humanity to become closer to the Creator. In our case, the number refers to a symbolic sign of Aquarius, which performs the principle of freedom and reform. A number of 12.12.12 (12.12.2012.) is a field for the final stage in the transformation process – improvement, and complete evolutionary (civilization) turn. 12.12.2012 Date of the first relates to the symbolic sign of Pisces, to implement the principles of the divine embrace: Broadcast divine love permeates all levels and the transition to a new stage of evolution. So, the last three stages allow mankind under the influence of the Creator first change yourself, then through the open door of the cosmos to look into the Abode (albeit on a virtual level), and then is to connect with God (eg, the energy level through the heart chakra). However, we are with you curious to know what are the real plans, adjusted for the third millennium. And here we will have to do some calculations. By our numbers, or rather to their mystical roots, we will add code – two. You will remember that we had four levels with repeated roots 3, 6 and 9. It remains to these roots add two. And we would get 3 + 2 = 5, 6 + 2 = 8, 9 + 2 = 11. So there were the roots of our new triple numbers adjusted index. It was they who define the main objectives Goals, which can be described in a few words: improvement, reform, transformation, bringing the correspondence between the cosmic and earthly laws, systems and structures. And if a little more, it will be the millennium of these wonders, when the cosmos will slightly open the secret chamber of the Supreme Powers, and humanity will Newest Testament. People change from the inside, his goal is to become a perfect, divine, along with the extensive use of artificial intelligence in all areas, the human spirit will be fertilized by the Holy Spirit and qualitatively change (1 + 1 = + my spirit holy spirit). In the new millennium, we are waiting for the development of thin and small structures, as well as outer space. You can make a lot of conclusions, with the arsenal of these code numbers and their corresponding planets curators Goals – Jupiter and Uranus. Let me remind you that the stage-level and element as always indicate the direction and areas for change. And the events that will take place near the triple numbers, dates, give us a more detailed picture of the future. The concentration of material and development of mineral resources, globalization, the development of various forms of political rule, the war for the possession of resources.